An international human rights organization has ordered the Trump administration to immediately reunify hundreds of migrant families separated along the U.S.-Mexico border, a ruling that comes on the heels of a similar one issued by a federal judge in June. The Inter-American Commission on Human Rights granted precautionary measures Aug. 16 in favor of migrant children who were separated from their parents as a result of the U.S. government’s “zero tolerance” policy aimed at deterring illegal immigration, according to a commission news release issued Monday. The Washington-based commission noted in one of two resolutions it approved late last week that family separations “result in physical, mental, spiritual, moral, psychological and social harm on the children, (which may be) long-lasting and irreversible” and violate international law. The resolutions were issued in response to emergency requests submitted by a group of mostly Texas-based attorneys and ombudsman offices and national human rights commissions of various Latin American countries, including Mexico, Guatemala, Honduras and El Salvador. 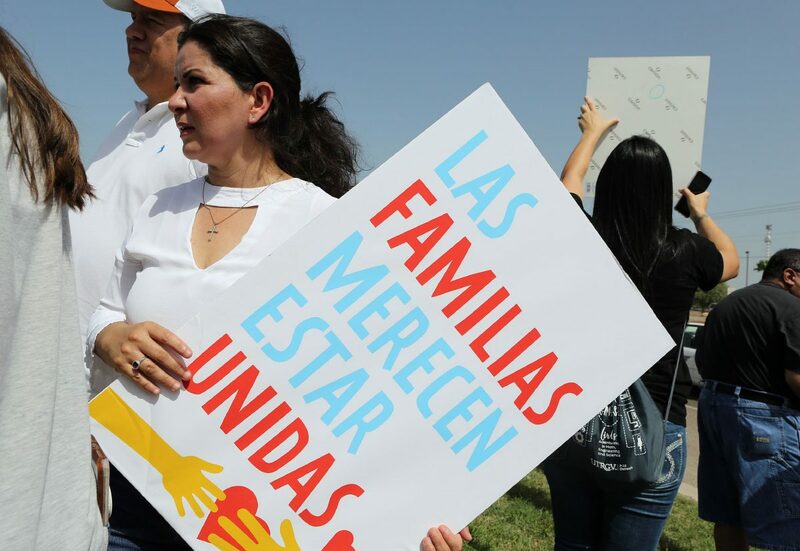 This is the first time the commission has ordered precautionary measures to protect the rights of separated immigrants as a family unit, according to TCRP. The legal aid and advocacy organization filed an emergency request in May on behalf of five migrant families, only two of which have been reunified, Olivares said. The whereabouts of the other three are unknown, meaning they could have been released in the United States or deported. In addition to calling for immediate family reunifications of TCRP’s clients and the more than 500 children still separated from their parents, according to the latest government status update on Aug. 16, the commission’s resolutions call on the U.S. government to halt the deportation of parents without their children. The resolutions also require medical and psychological assistance for these families, as well as consular assistance and interpretation services, among others. The U.S. State Department must also provide the commission with updates on its compliance with these measures every 10 days. The IACHR is part of the Organization of American States, of which the United States is one of 35 member countries. It can require members to take actions in cases of serious, urgent and life-threatening human rights abuses.